Sweatshop is the UK’s favourite, as well as the largest, specialist independent sportswear retailer with stores nationwide. Sweatshop is a customer focused retailer, and encourages customers to go through a 30 minute ‘full-fit’ service to analyse their gait so that the store can advise on the correct sports shoes. This created a customer experience challenge as customers entering the store had to wait to be seen. Previously, in peak periods one member of staff would concierge and manage customers on a clipboard. But by doing so, they were losing customers through walkouts. Sweatshop needed an easy and simple system to solve this. Sweatshop now uses the Qudini Concierge app on their Samsung tablets, which helps them manage customers as well as staff, and provide each customer with an accurate serve time calculation based on available resources. 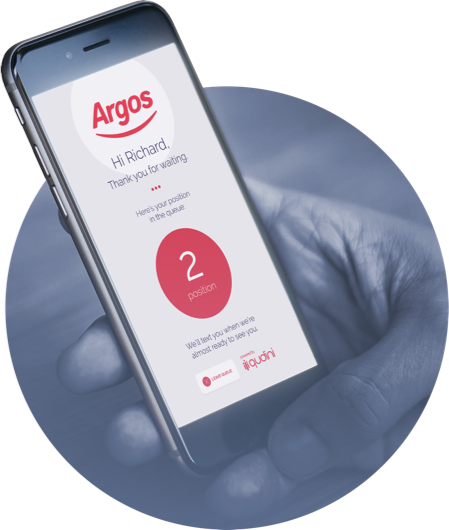 This allows customers to browse the store whilst they wait for service and even collect more sporting products that that they wish to buy at the end of their fitting. Reduction in walkouts due to providing customers with a better and shorter waiting experience. Increase in staff efficiency due to a more organised shop floor. Return on investment due to increase sales through retaining and serving more customers and increasing customer browsing whilst customers wait. Increase in spend now that customers can browse whilst they wait for service, rather than standing in a queue.